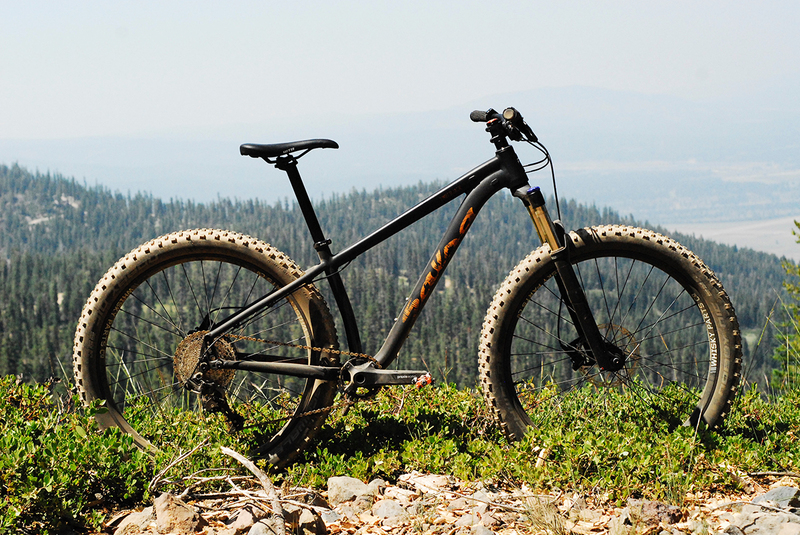 Of the two new hardtails in the Salsa lineup, the Woodsmoke might grab more attention because it’s flashier, but their other latest bike is more than worthy of consideration as well. 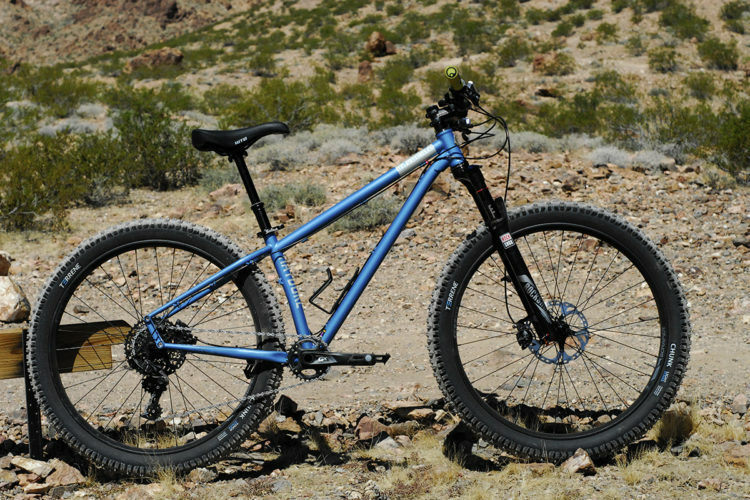 The Timberjack is an aluminum 27.5+ or 29er hardtail that seeks to make off-road exploration and singletrack bikepacking adventures more accessible to people who can’t spend a few grand on a bike–or people, like me, who have a ton of bikes already but also really want a 27.5+ hardtail in the quiver. 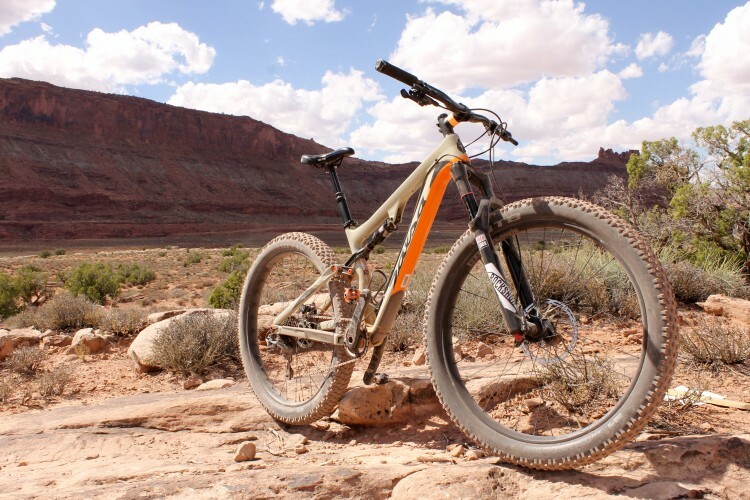 Though the lower-end spec retails at under a thousand dollars, this is not a “cheap” bike. 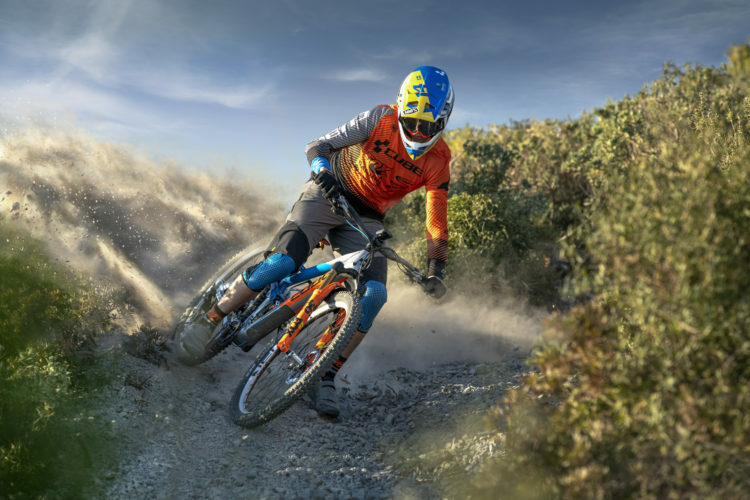 The lower-end model still comes with a decent-enough component group–SRAM NX1 drivetrain, a Manitou 120mm fork ,and Tektro hyrdraulic brakes. An extra $400 gets you the GX1 model with SRAM Level hydraulic brakes, a Rock Shox Recon fork, and Whisky alloy rims. You can also buy a frame-only for $399 and build your own. Check out full specs here. At Saddle Drive, I rode the GX1 build, and it performed great! I ended up taking this bike on a bit of a longer ride that tested it out in a variety of conditions, from gravel climbs to some black diamond downhill trails. 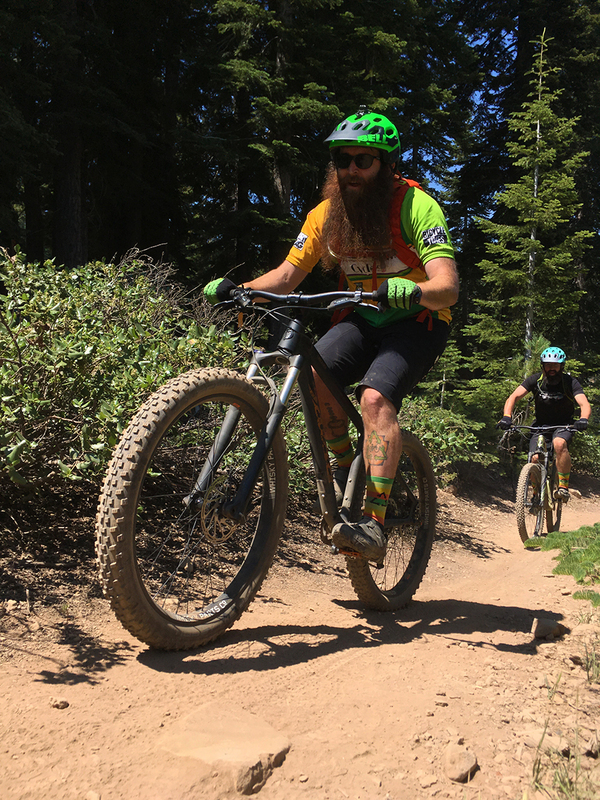 I took the lift almost all the way to the top of the mountain at Northstar, but there was still more uphill pedaling to be done, on a dirt road full of small, chunky rocks. 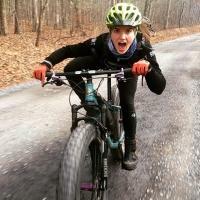 The bike was a champ, navigating the loose ground with ease, and helping me power up the climb. 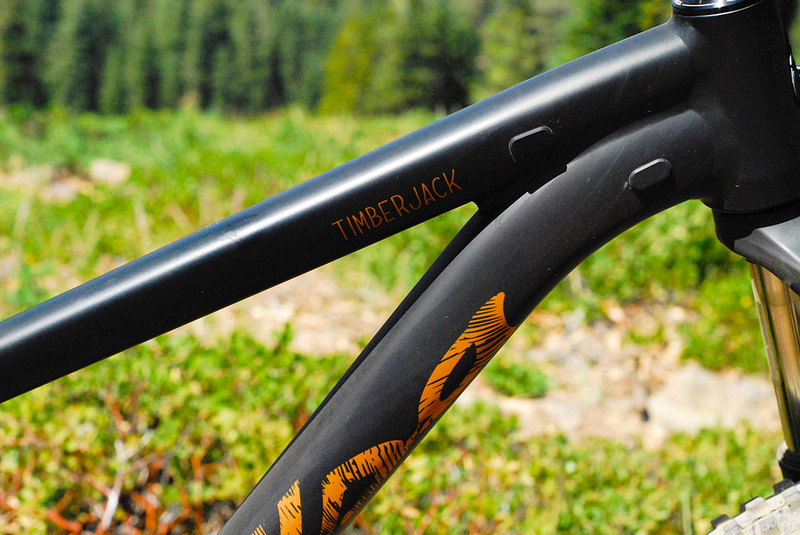 The Timberjack has slightly-longer chainstays (though at 420mm they’re still pretty short) than the Woodsmoke, and a longer wheelbase overall, so it felt a little more stable. 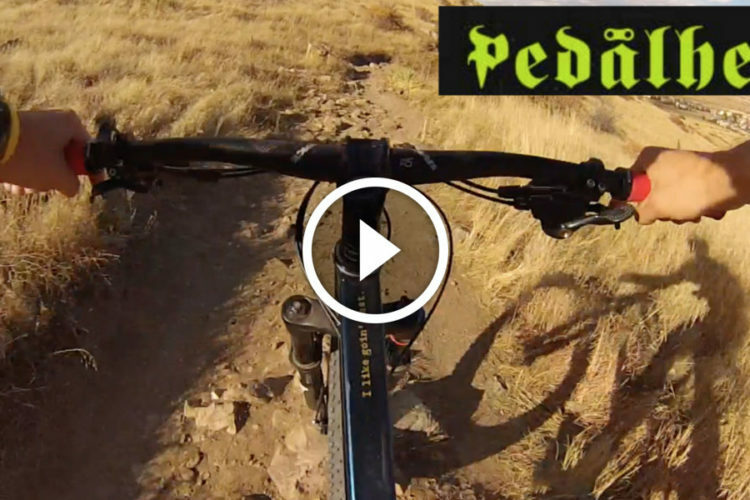 But don’t get me wrong–it was still nimble and really fun on the downhills. 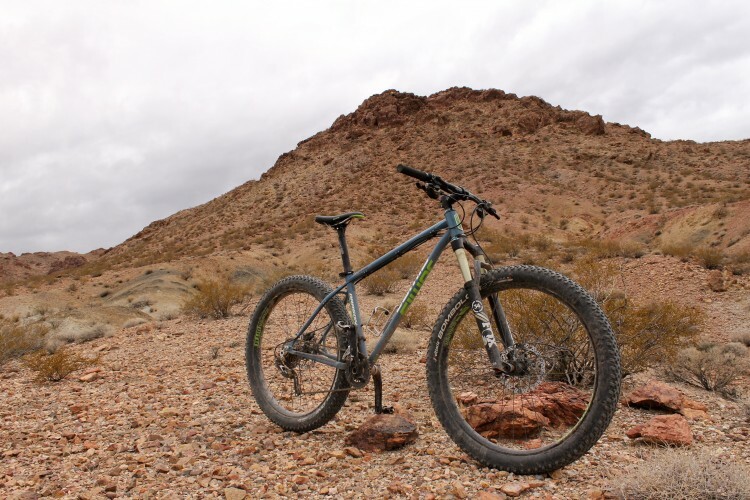 There were a couple times when I thought maybe a full-suspension bike would have been nice for some of the terrain we were riding, but the Timberjack held its own, and the plus tires certainly helped me through some of the gnarlier rock gardens. I normally am not the biggest fan of Schwalbe tires, but I actually liked the 3.0 Nobby Nics that come on this bike. They did their job in the dry, loose dirt and dust of California. 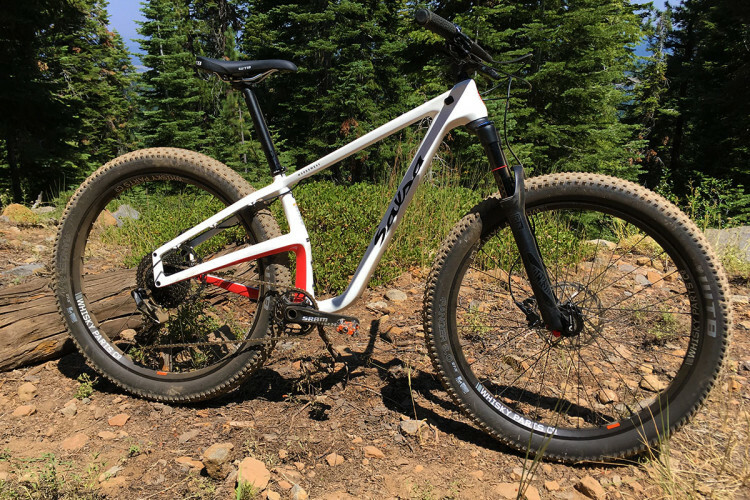 The rig I was riding came with a Rock Shox Recon 120mm fork, but the bike is designed to take up to a 130mm fork for a little more squish, or a rigid fork if you so choose. 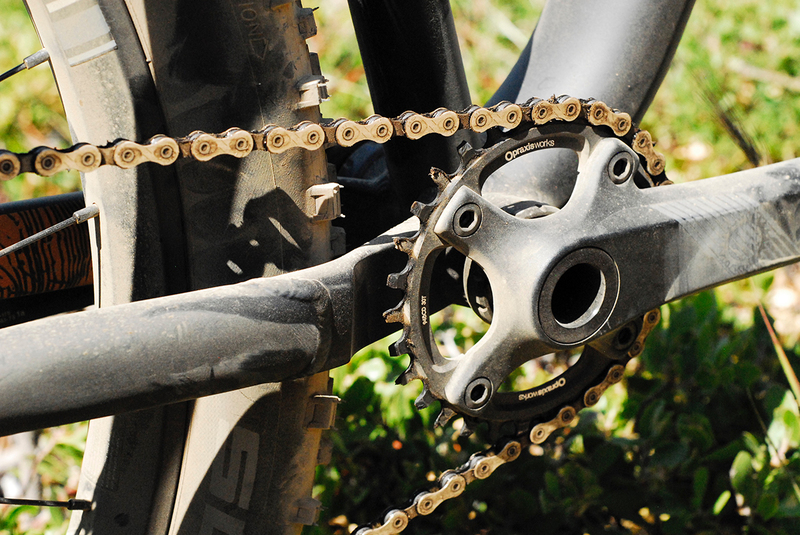 It also has internal routing, including for a dropper, and the Alternator dropouts allow for a variety of drivetrain configurations, as with most Salsa bikes. 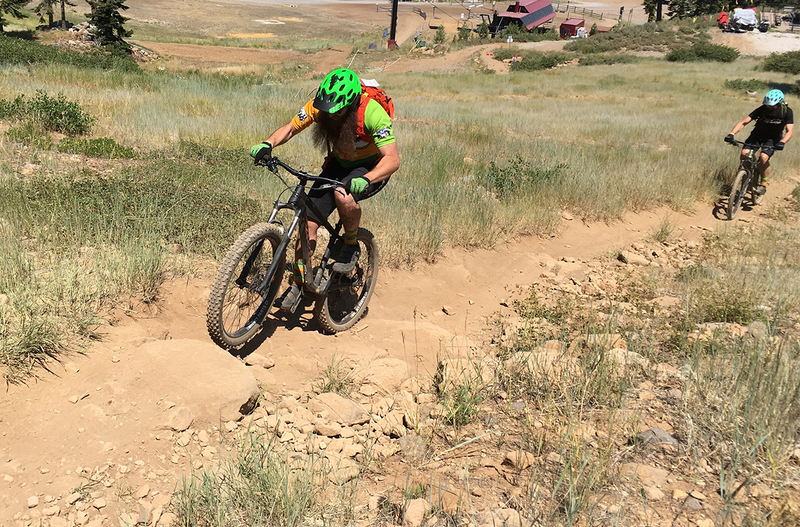 I really didn’t encounter any issues during my test ride, except that I wished it had a dropper post so that I could get a little more rad! The Timberjack is multi-talented–an excellent choice for someone who wants a little of everything. 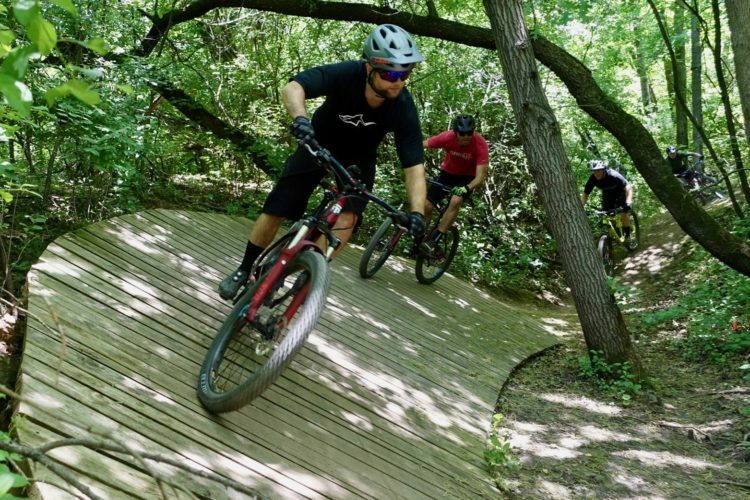 As one of the Salsa guys said in the presentation they gave us about the new bike offerings for this year, “plus tires make hardtails fun again.” This is 100% true, and the Timberjack totally embodies that statement. 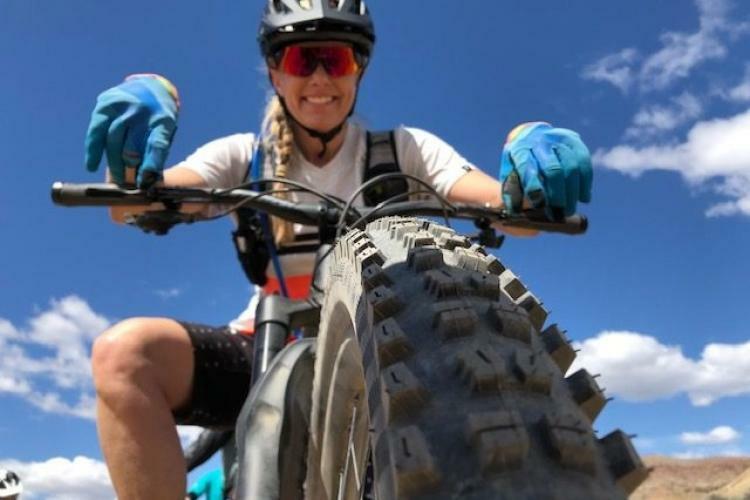 It’s a lively, versatile bike at a great value, whether you want an all-mountain hardtail or a comfortable bikepacking rig. The NX1 comes in at $999 while the GX1 retails for $1,399.